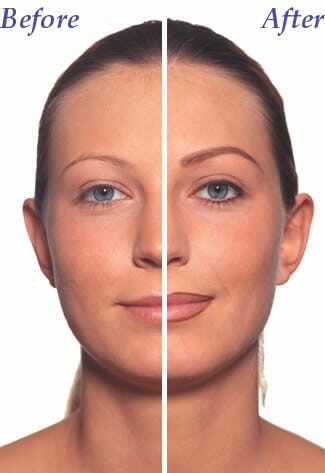 Permanent eyebrows or eyebrow tattoos make it possible to have perfectly shaped brows without the need of makeup. For women who have sparse eyebrows, they can now be free of the daily ritual of shaping and trying to match the contours of both brows. There are many reasons for wanting to have eyebrow tattoos. Too much plucking can leave you with very thin eyebrows which can take months to grow back or may never grow back at all. Cosmetic eyebrow tattoos are ideal for those who have a condition that causes hair loss, also known as alopecia. Women who have allergies or adverse skin reactions to makeup can also choose to have permanent eyebrows. Allergic contact dermatitis can present as redness, itching, and swelling over the area. There are also individuals whose lifestyle requires them to be on the go. Eyebrow tattoos are perfect for those who do not want to have the trouble of putting on their eyebrows before stepping out of the house. Going though chemotherapy can also result to loss of hair on the brows. This depends on the type of drugs are used as well as the dosage. Because chemotherapy affects the whole body, one of the side effects can be loss of hair not only on the head but also on the eyelashes and eyebrows. For loss of hair on brows, options include penciling, stenciling, use of temporary eyebrows, or eyebrow tattooing. Those with vision problems can also benefit from eyebrow tattoos. Another use is for people who cannot maintain a steady stroke because of shaky hands. One of the biggest benefits of eyebrow tattoos is convenience. You will not have to worry about having perfect brows and will never have to use time penciling in symmetrical brows every day. Tattoos are also suitable if you have inconsistencies in the eyebrows. Permanent eyebrow tattoos are also ideal for eyebrow enhancement, reshaping the eyebrow area, and complementing the shape of the eyes.